Sixteen people were killed and 20 others injured during gatherings in Sudan's capital city Khartoum on Thursday and Friday, Sudanese police announced Friday. 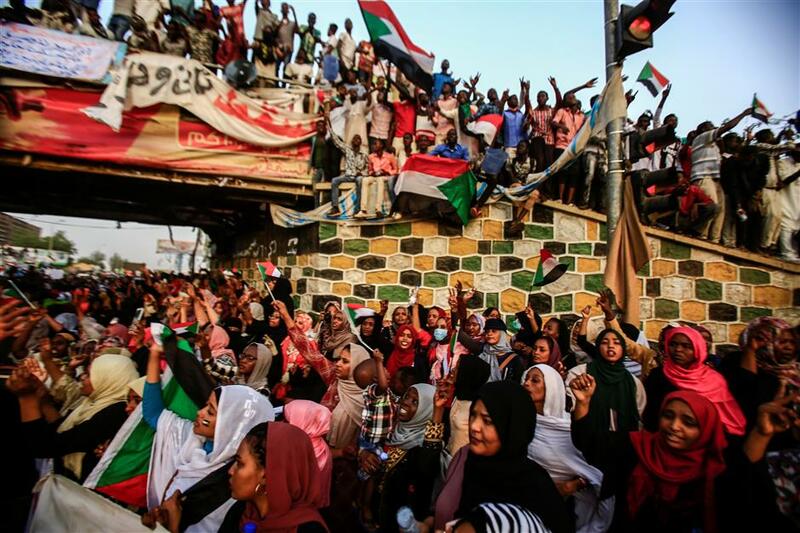 Sudanese protesters chant slogans during a demonstration outside the army headquarters in the Sudanese capital Khartoum on April 12, 2019. "Criminal police investigations indicated that 16 people were killed and 20 injured by stray bullets," Hashim Abdel-Rahim, Sudanese police spokesman, said in a statement. He further said that the sit-ins and gatherings have affected the traffic and caused a big traffic jam in central Khartoum. Since December 19 last year, Sudan has been witnessing popular protests over the deteriorating economic conditions and price hikes of basic commodities.